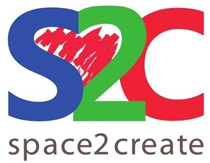 Space2Create helps vulnerable adults with long term physical and mental health conditions to recover their wellbeing through creative activity. Please select from the menu above to find out more about us. Please Note: We are currently building a new website and you may see some pages changing, moving around or being added. Apologies for this but all our content is still available in the options above and we hope when our new design is revealed it will be easy to use and informative. Watch this space!